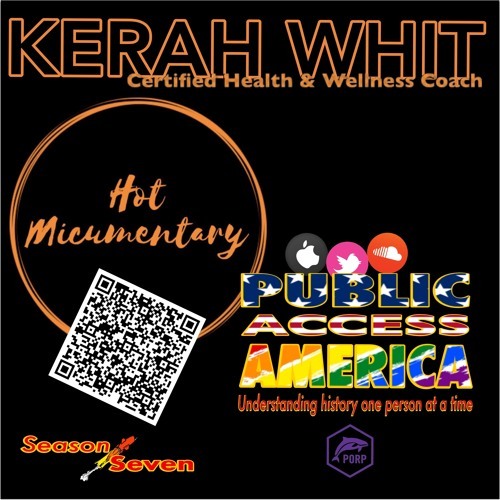 @karah-whitty-whitfield from Hot Micumentary Podcast Certified Health & Wellness Coach Brief Bio “Hot Micumentary” is a podcast hosted by certified health & wellness coach @Kerah_Whit. It’s an open mic documentary for millennials who are navigating life in their Twenty-Something’s into the life of their Thirty-Something’s; also promoting self-care & self-love for those who have acquired a new awareness and positive perspective on life. The goal is for listeners to gain awareness how life experiences affect the balance of mental, physical & spiritual wellness by embarking on common experiences as well as inner troubles & triumphs. Links iTunes/ApplePodcast https://itunes.apple.com/us/podcast/hot-micumentary/id1449534284?mt=2 Soundcloud https://soundcloud.com/karah-whitty-whitfield Twitter https://twitter.com/kerah_whit Spotify https://open.spotify.com/show/6ENhaIVTuVdOwhwUxrkbxm Music from @MiniWithDaHeat UK producer! check out the social medias! www.youtube.com/channel/UCIFUqOdxfkaez4WW-9qkX0w "Be Over" instrumental https://soundcloud.com/miniwithdaheat/soul-sample-flip-be-over-instrumental We are proud to be curating a stream of positivity, fact, and information on Twitter at @PublicaccessPod (twitter.com/PublicAccessPod) Facebook as well @PublicAccessAmerica (facebook.com/PublicAccessAmerica). Please take a moment to subscribe, rate and review on iTunes ( goo.gl/soc7KG) The Stitcher Smart Radio App (goo.gl/XpKHWB) or any where you find your favorite podcast. Subscriptions, ratings, and reviews drive the algorithm, If you are someone that believes there are better conversations to be had, a new optimistic discourse, with conversation that goes beyond politically correct into honest and useful. If you prefer fact, and education over easy headlines and grey area rhetoric, Then I ask you to support Public Access America.